Manon is delighted with all things hair! As the newest addition to Hair By The Collective, Manon continues to seek out and gain knowledge. Competition stimulates her creativity and allows her to evolve and progress. Within her 10+ years experience, Manon has won L’oreal’s French “Total Make Over” challenge and a Brisbane Hair Expo’s “Women’s Cutting” contest. She is inspired by like-minded, passionate artists and is constantly working to further develop her craft and create impeccable looks. She truly appreciates the rejuvenating potential of a fresh cut and colour. With 10 years of experience in the hair beauty industry, Jessie is no stranger to the demands of today’s fashion-conscious culture. She began her professional career in Orange County, California. She has since gone on to expose her abilities at some of the more prestigious salons in L.A. and Orange County, before moving to Brisbane in 2015. Showcasing her California style and creative eye, Jessie would state her strong suit is colour, especially sun-kissed balayage and dimensional blondes. But, it is hard to narrow down her skill set when her repertoire includes extensive experience with men and women’s cuts, various extension application methods, Keratin treatments, and up-styles. Her passion for the industry motivates her to complete advanced courses at prestigious schools like the Vidal Sassoon Academy. Jessie encourages clients to feel at ease to express themselves and their ideas. She draws inspiration from her love of travel, music, and design and strives to keep up-to- date on the latest fashion and beauty trends that benefit all clientele. Jessie’s impeccable attention to detail and creative vision will provide clients with a superb beauty experience. Antoni Pierro gained invaluable experience as an apprentice and then full-time hairdresser a Fruition Hair. Here, he developed and honed in his technical skills while also becoming competent in managing the daily responsibilities of a salon. Antoni draws his inspiration from music, movies, pop-culture and stays abreast with the latest developments in hair styling and fashion industries. 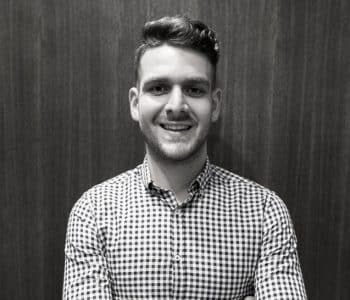 Antoni loves the variation that comes with the business, and his experience with a range of styles, techniques and people contribute to his toolkit. No matter the vision you have for your look, Antoni is driven to connect with it, and bring it to life. 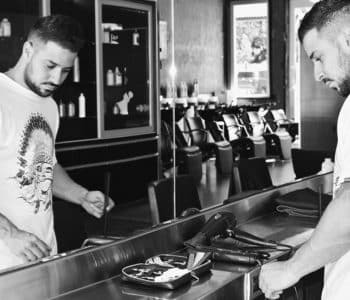 His confidence, loyalty, and determination to learn and grow as a hairdresser make him a valuable asset to Hair By The Collective.